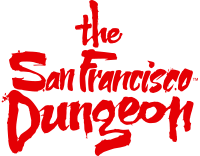 There are areas of the Dungeon that contain strobe lighting which may affect those suffering from photosensitive epilepsy. These areas are marked so please look out for them. An alternative route will be provided for those who need to bypass these areas.